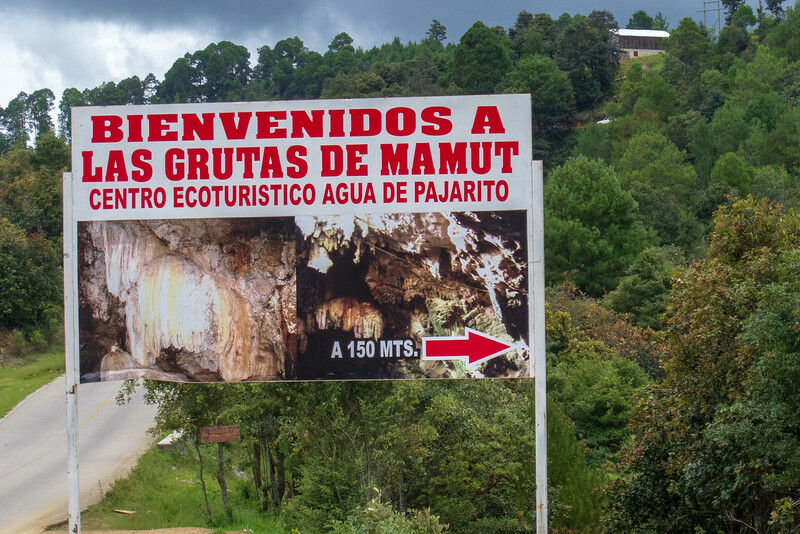 On the road to Tenejapa, Chiapas, Mexico about ten minutes out of San Cristobal de las Casas is a new attraction called “La Grutas de Mamut Centro Ecoturístico Agua de Pajarito” or “The Mammoth Caves and Water Bird Ecotourism Center”. 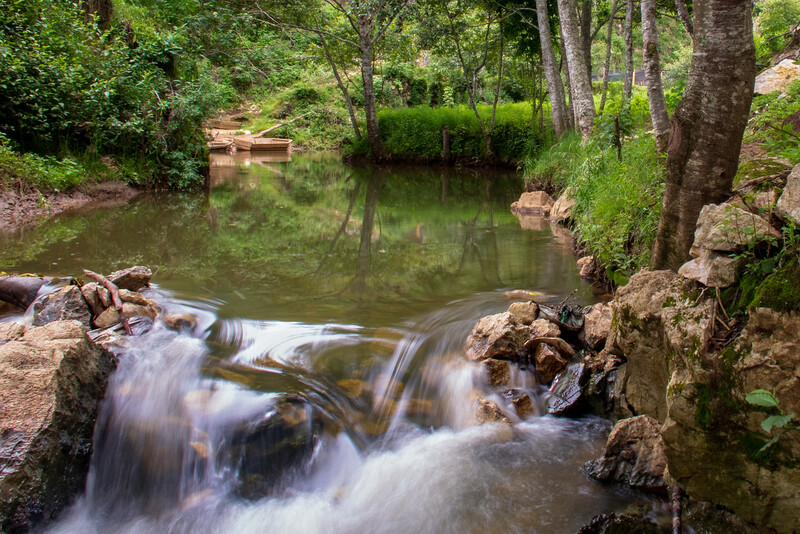 You drive off the paved road down a steep gravel road into an area that opens into a beautiful little park. It is run by one of the local villages and infrastructure wise they appear to be off to a fair start. There are still some rough edges like a muddy parking lot and lack of signage (in any language) but it is serviceable. For some reason I don’t totally understand, they are building a concrete entrance to the caves. I guess to make it more “Jurassic Park” like but to me that seems like an overreach. The caves are pretty cool inside. 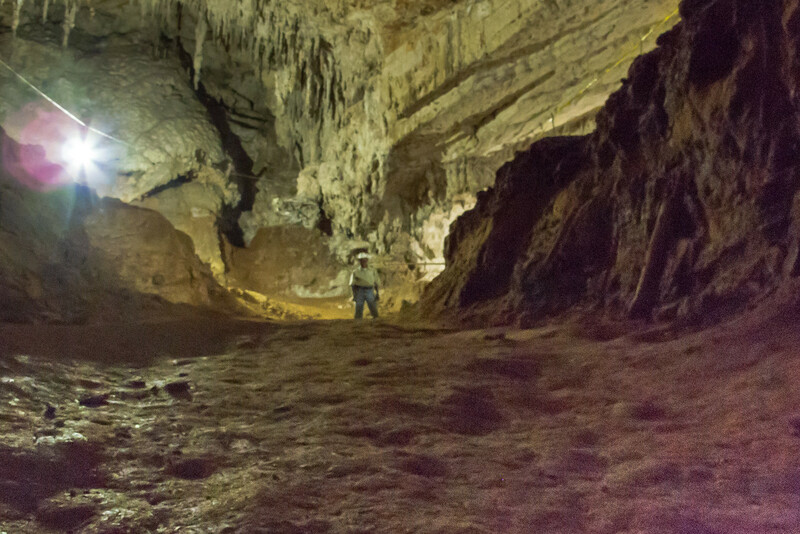 There are some fair sized rooms with many stalagmite and stalactite formations. The interior trails are mostly smooth and it appears that the rougher parts are left that way to avoid damaging the beauty of the cave. Outside there are some park areas with palapas and picnic tables. A stream runs through the area and you can rent rickety boats made out of plywood for 10 pesos. Apparently, the mammoths are supposed to be the cave formations inside. I didn’t see a single water bird but there were a lot of butterflies and hummingbirds around. Overall it was a good experience but I was put off by the guide. To begin with nowhere does it say that a guide is necessary. There is a ten peso charge per car for the parking lot. OK. There is a ten peso charge to enter the cave. Fair enough. Then we had a “guide” follow us into the cave insisting he was part of the tour. We didn’t know we needed a guide but, OK. A few hundred meters in he insisted on a propina (tip), and apparently, we could not go on until he received one. That kind of felt like extortion, okay. Later on, after I had taken a photo with him in it he insisted on another propina; “for his hat”. Enough already! I enjoyed visiting La Grutas de Mamut and overall everything considered it was an inexpensive outing. However, based on the guide’s aggressive demands for tips and that it was a hidden cost, next time I want to see caves I will not return but go to one of the others in the area instead. I decided not to visit a few areas in Argentina when I found out that “local guides” forced people to pay them for a tour once you got there even though they did not own the land.